Lovely animals of both ends of the earth. Steiff EAN 057113 Hummi Humbold penguin, 35cm. 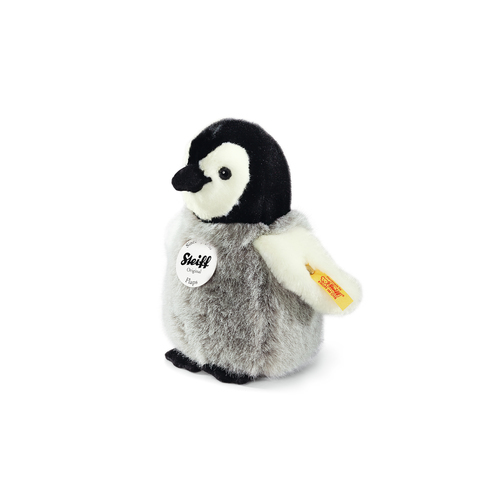 Hummi Penguin is made out of soft black/white with pink plush. He is filled with synthetic filling material. Hummi has a plush beak and safety eyes. Hummi has a stainless steel button in his left wing. 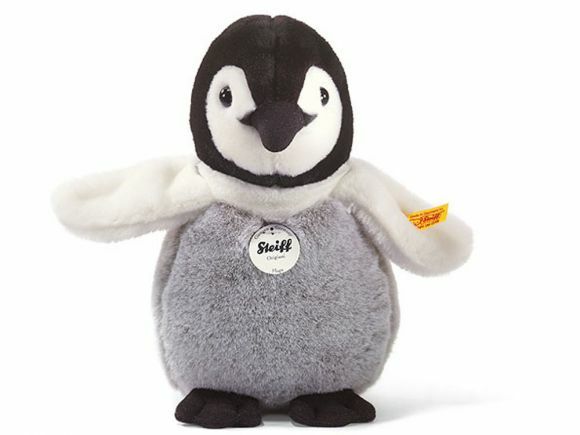 Steiff Cosy EAN 057090 FLAPS PENGUIN, 20cm. Flaps is made of white/grey/black coloured cuddly plush, has safety eyes and a plush beak . He is filled with synthetic stuffing material and Machine washable (30 degree C). He is with the CE mark for safe toys. 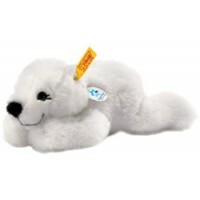 Steiff Cosy EAN 280139 Polar bear FLOCKE, 25cm. 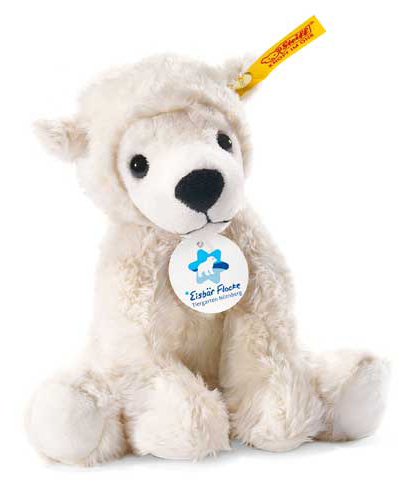 Flocke is 25cm tall and made out of cuddly soft white plush. She has a plush nose and black safety eyes. She is filled with synthetic filling material. Flocke is machine washable and 100% safe for your child. She has a special name tag. 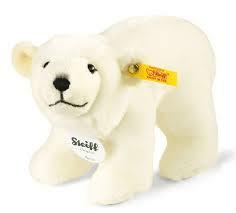 Steiff Cosy EAN 115110 ARCO Polar bear, 45cm. Arco is 45cm tall and made out of cuddly soft white plush.He has a plush nose and black safety eyes. He is filled with synthetic filling material. Arco is machine washable and 100% safe for your child. Steiff Cosy EAN 113185 Polar Bear FLOCKE,16cm. Flocke is 16cm tall and made out of cuddly soft white plush. She has a plush nose and black safety eyes. He is filled with synthetic filling material. Flocke is machine washable and 100% safe for your child. She has her own special name tag. Arco is 90cm tall and made out of cuddly soft white plush.He has a plush nose and black safety eyes. He is filled with synthetic filling material. Arco is machine washable and 100% safe for your child. 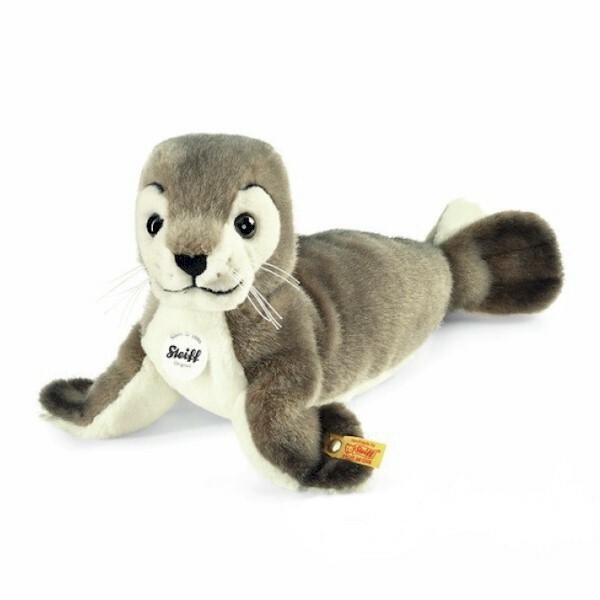 Steiff EAN 063114 Robby seal, 30cm. Robby is made of grey and cream coloured cuddly plush, has safety eyes and a plush nose. He is filled with synthetic stuffing material and Machine washable (30 degree C). He is with the CE mark for safe toys. Steiff EAN 062957 Arco Polar bear , 18cm. Arco is 18 cm. / 7.2" tall and made out of cuddly soft white plush.He has a plush nose and black safety eyes. He is filled with synthetic filling material. Arco is machine washable and 100% safe for your child. Steiff Niklas is 32 cm. / 12.8" tall and made out of white plush. He has safety eyes and is stuffed with synthetic material. This Steiff animal can be machine washed at 30°C and has the CE mark for safe toys. Steiff Niklas has a gold plated button in his left ear. 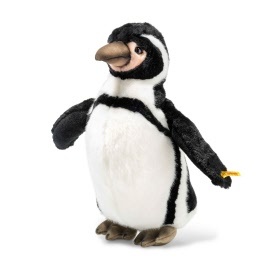 Steiff EAN 057144 Flaps Penguin cuddly friends, 16cm. Flaps is one of the little cuddly friends. Steiff EAN 113277 Renny Reindeer, 25cm. 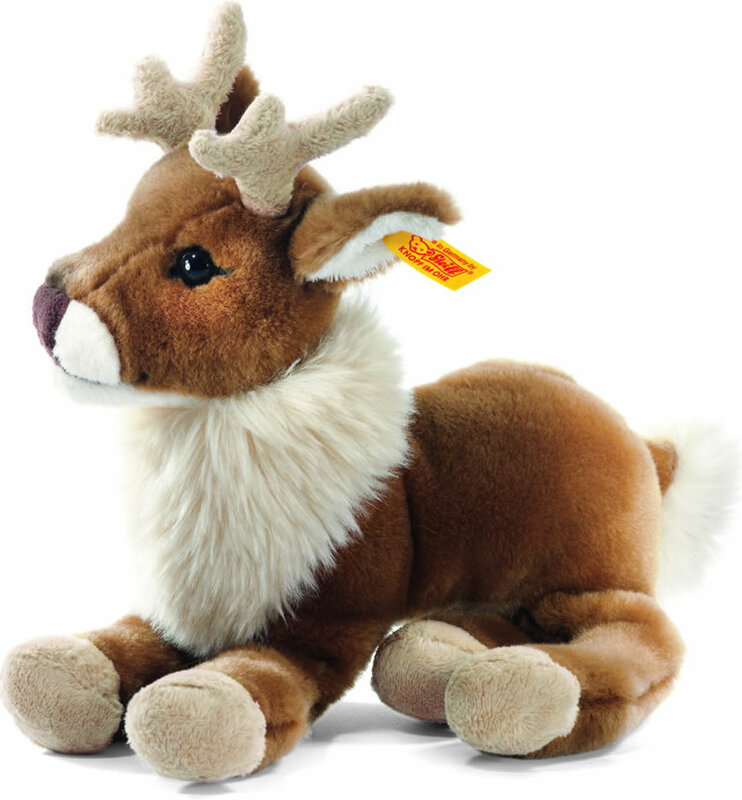 This Steiff reindeer is 25 cm. / 10" tall and made out of caramel colored plush. Steiff Renny has safety eyes and his nose is made out of plush. This dangling reindeer is machine washable at 30° C.
He has the CE mark for safe toys. Steiff Renny has a gold plated button in his left ear. 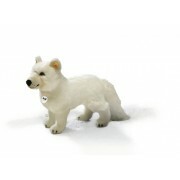 Steiff EAN 501425 Artic Fox standing, 50cm. 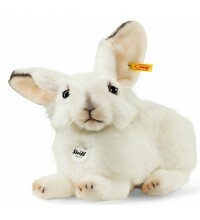 He is made of white soft plush with a black plush nose and airbrush details. He has safety eyes and is filled with synthetic stuffing material. His surface can be cleaned by hand. He is with the CE mark for safe toys. The artic Fox is standing.